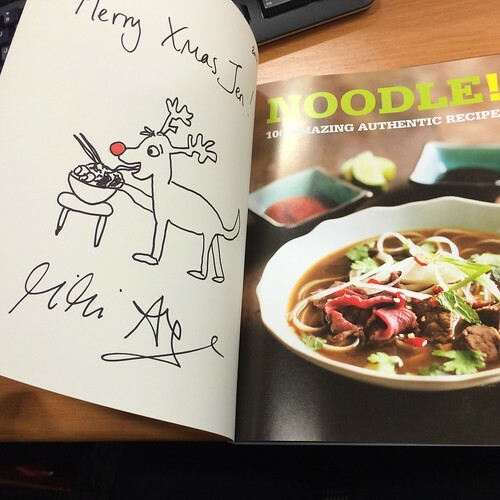 Perfect Christmas Present - Signed Copy of NOODLE! 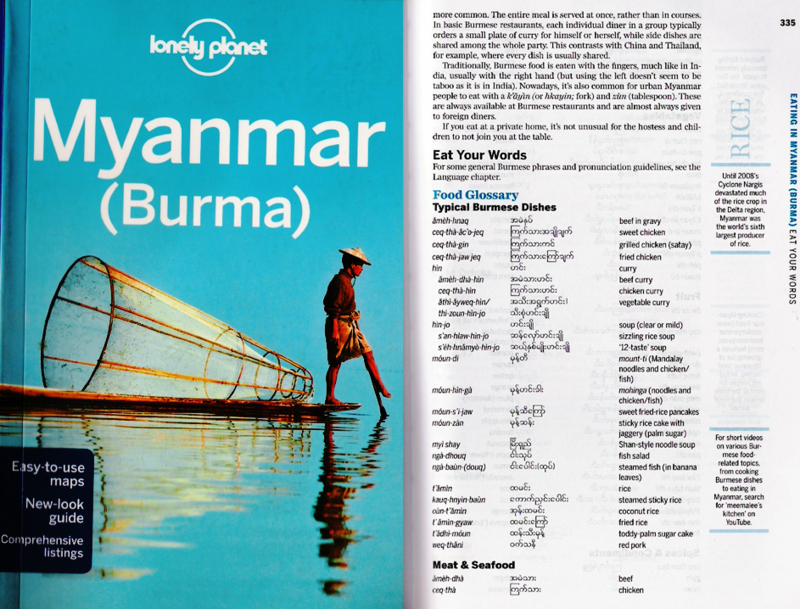 with Free P&P! "What am I meant to get for my brother this time?" 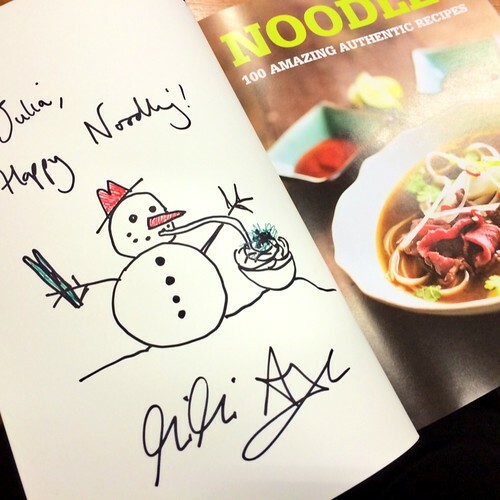 Here's the perfect Christmas present solution for my readers in the UK - a signed copy of my book NOODLE! Your friends and family will love you, and you'll reap the benefits as they lavish noodle dish after noodle dish upon you. As for the book itself, not only will it have my beauteous signature inscribed on it, I will even draw you an exceedingly shabby Christmas-themed doodle inside! 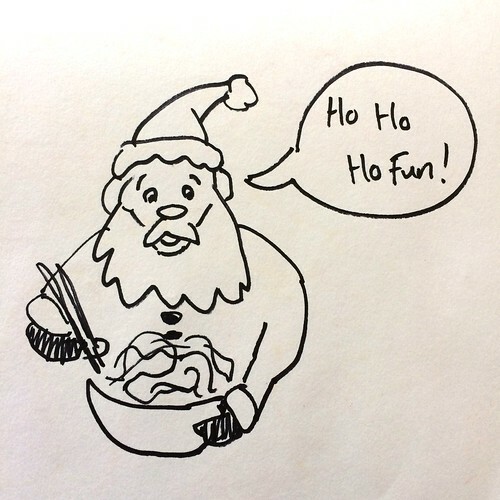 Ever wanted a picture of Rudolf eating ramen? Or Frosty the Snowman wistfully eating summer rolls? Just let me know what you want (awful puns and all)! And for a limited time running up to Christmas, post and packaging is free, so you'll only pay £12.99. Click on "Add to Cart" below - last orders by Friday 12th December to ensure delivery by Christmas - UK readers only. Last orders by Friday 12th December to ensure delivery by Christmas - UK readers only. 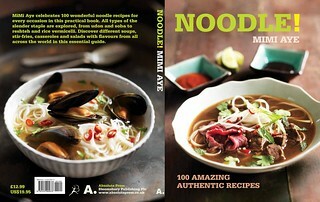 Wow, Fantastic your different Christmas Noodles and other pictures.So, I love everything. I've been wanting to cook Christmas Drunken Noodles after Mimi used them to call me a wally (don't ask) so at last, today, I did it. What's more I ask of you, make them. Merry X-Mass! 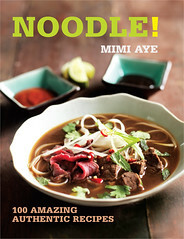 Wonderful your blog writing.I know that Perfect Christmas Present NOODLE is a very interesting. It made a great Christmas gift for the neighbors.